The luxurious worlds of soft silk and soothing lavender collide in one incredible product: the Small Silk Eye Pillow from Yoga Direct. The outside pillow is removable and made of soft silk. 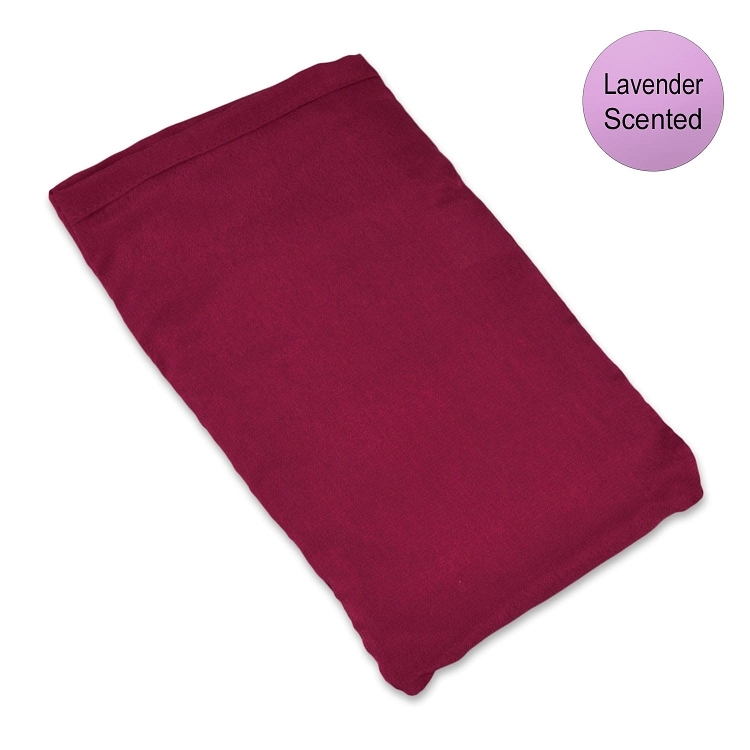 The inside pillow is filled with organic flax seed and dried lavender flowers. The lavender scent is subtle -- not too strong -- and can be prolonged by storing in a ziplock bag. This one will fit right over your eye at 20cm long and 10 cm across. Check out our larger silk eye pillow here.